Feeling flu like symptoms after switching to a low carb diet? 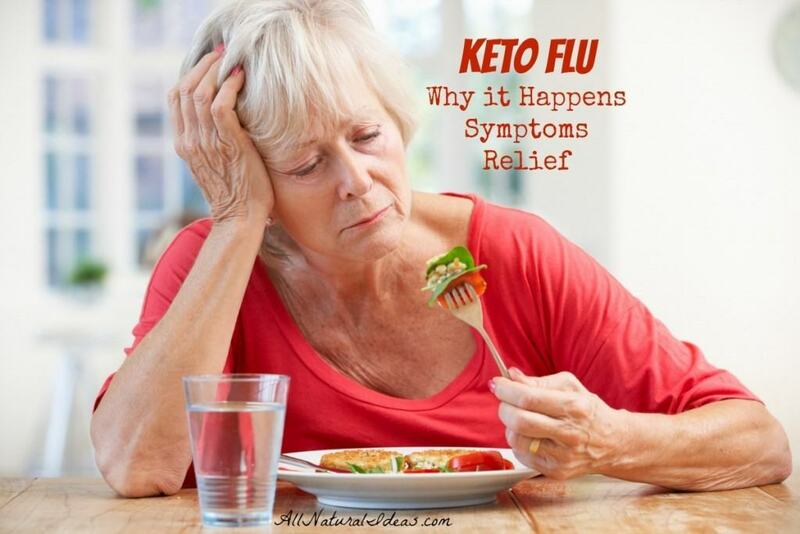 Learn the symptoms of keto flu and how you can cope with the symptoms! Having flu-like symptoms when starting a low carb diet is common. The condition is not as bad as the name entails because isn’t a sickness. And, it is certainly not contagious. Keto flu describes the condition you may feel when you first start a very low carb ketogneic diet. Some people may think that the symptoms felt are bad and that it is all because of the diet. Fortunately, this assumption is incorrect. These symptoms correlate very closely with real flu like symptoms. They arise when your body is going through withdrawal from sugar. If you experience flu-like symptoms after moving to a ketogenic diet, it shows that your body was dependent on sugar and is craving it. When most people think of withdrawal, they typically link it to drug addictions and recovering drug abusers. Withdrawing from sugar is not so different from cocaine or heroine. When you eat sugar, the same response goes off in your head as it would with cocaine. Your body feels euphoria and pumps out dopamine. This a chemical in your brain that makes you feel happy. You may not be aware but your body subconsciously is aware of what makes it happy. Thus, when your sugar levels are low your body craves, much as a drug abuser would crave drugs. The worst part is less and less dopamine is emitted with each sugar consumption, which means you need to eat more sugar to feel happy. Headache and fatigue are directly correlated to your body entering ketosis. When you switch to a low carb diet your body may not be ready to use fats for energy. Initially, fatigue results in the reduced energy that your body is able to produce after carbs are significantly reduced. Nausea is also caused by a lack of fats being converted to energy. However, once your body becomes adapted to ketosis, these symptoms will go away. Symptoms can last anywhere from a few days to a few weeks. The best way to alleviate the symptoms of keto flu is to replenish electrolytes. Drinking lots of water is absolutely essential to a low carb diet because it allows your cells to latch onto fat instead of water for energy. However, when you are drinking a lot it causes you to deplete your electrolyte levels. Electrolytes are essential for regulating how much water is in your body, blood pH, muscle function, and other important processes. How can you replenish these essential minerals? The easiest way is to take supplements that are high in potassium, magnesium, sodium, calcium, phosphorus, or chloride. You could also use a homemade electrolyte drink like this one. To relieve the flu-like symptoms, you can also eat foods that are high in these essential minerals. Leafy greens, nuts, and avocados are a great source of potassium. Dark chocolates and fish are a great source of magnesium. Salt, bacon, and pickles are a good source of sodium. Dairy products are a great source of calcium. Almonds and leafy greens will replenish your phosphorus levels. Salt and olives are an excellent source of chloride. Many keto dieters find relief of flu-like symptoms by drinking bone broth which is rich in the the electrolytes magnesium, sodium and potassium. If you are feeling ill after moving to a ketogenic diet, you are not alone. It is a common condition that effects many people who switch to a low carb diet. It is a sign that your body was dependent on sugar and can be seen as as a sign that you are detoxing the body. You can make the transition to a low carb ketogenic easier by consuming more electrolytes. The inconvenience of going through a keto flu may be unpleasant, but the end goal of optimal body health will be worth it. I am on LCHF DIET since 2 year and want to on Kept diet. The keto diet is very similar in that you eat very few carbs. Can you recommend a supplement? Bone broth or a potassium and magnesium supplement.